Abuelita mixes modern technology with old world techniques to create hand crafted, authentic Mexican food. We are dedicated to the tradition of cooking and grinding our own corn for our premium corn tortillas and corn tortilla c hips. While many companies choose to use the more convenient corn flour, we still use traditional lava stone wheels from the American southwest to grind our corn. 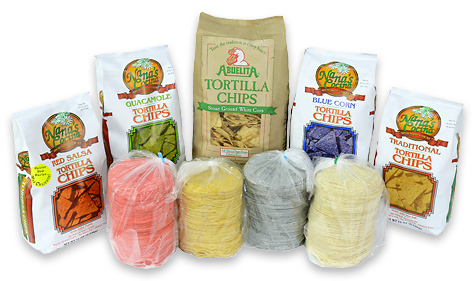 You can taste the Abuelita difference – with the crunch of every chip!